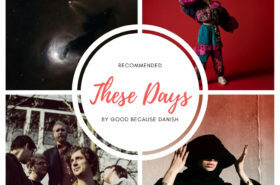 Sometimes there are just too many great songs popping up in our Good because Danish inbox. We simply can’t cover it all! 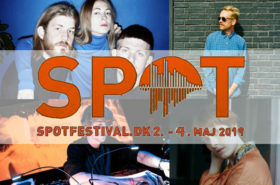 Therefore, we came up with a new blog post series earlier this year which makes it easier for us to share even more great Danish music gems. The album of Linda Christine – alias Mammut Is In Love – somehow fits the Christmas time that is upon us. “In Blossoming Blue Skies” gathers 11 dreamy, fragile compositions that sound like a bed time story told by a fairy. It just makes you wanna get under a warm blanket and watch the first flakes of snow dancing behind the window. “In Blossoming Blue Skies” is magical music for the magical time of the year. 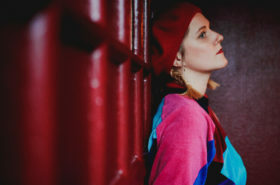 Copenhagen-based label TAMBOURHINOCEROS brought us a wide range of musical gems from different genres – and CTM, the solo project of Cæcilie Trier, is one that confirms the label’s impeccable, slightly quirky taste. CTM’s new single is like a big musical washing machine. At the beginning you think that someone forgot to separate the colours and the programme is chosen wrong. But as the time goes by, you realize that maybe you’re the one who knows nothing about washing clothes. In the end everything comes out clearer than ever. This metaphor might be twisted, but so is “Cézanne”. If you sometimes feel that this world is a place you cannot handle anymore, if sadness, doubts and confusion take over your thoughts from time to time, you will definitely get the EP “Lost Astronaut” by Asthmatic Harp alias Hannah Fredsgaard Larsen. Melancholic lyrics, heavy sounds at the beginning and a soft end that will let you fall asleep comforted. Asthmatic Harp is not afraid to dig deep into feelings that most people try to avoid, but she also doesn’t let these feelings take complete control. The result of her struggle is an EP made out of many layers, musically, lyrically and emotionally. 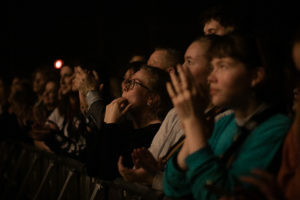 Maybe it’s because of the winter time, maybe because of the fact that Danes are really good in using cold and melancholia in music or maybe it’s simply because it’s a gem – SANT’s debut single “Private Sager” touched us to the bones. A mix of post metal melody, a somehow folk’ish background, lyrics in both, English and Danish; everything in this song is balanced so well that it makes you shiver and draws you into a world of music hard to describe.